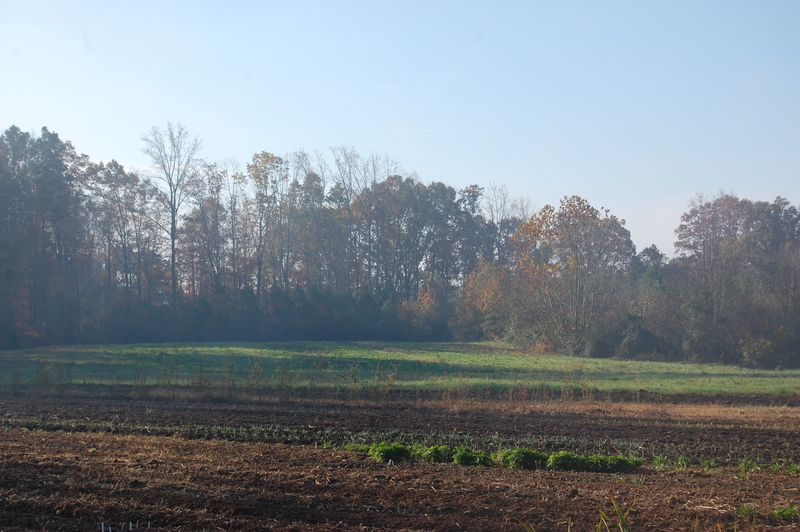 Winter approaches and we are excited: it is our first chance to plant trees since moving onto our land. One day we will have a fruit orchard and ornamental trees will grow around the farm but with the house project we’re starting small the year. We planted three of one of our favorite trees, the native red maple. These trees flank entrances to the farm and we look forward to when we enter under the gateway of their branches. Jonathan tamps down the soil. With winter approaching our thoughts are also on next year’s flowers and next year’s weddings. We started preparing for our first wedding of next spring right after our last wedding of the fall. Megan uses the Gravely walk behind to mow the beds. 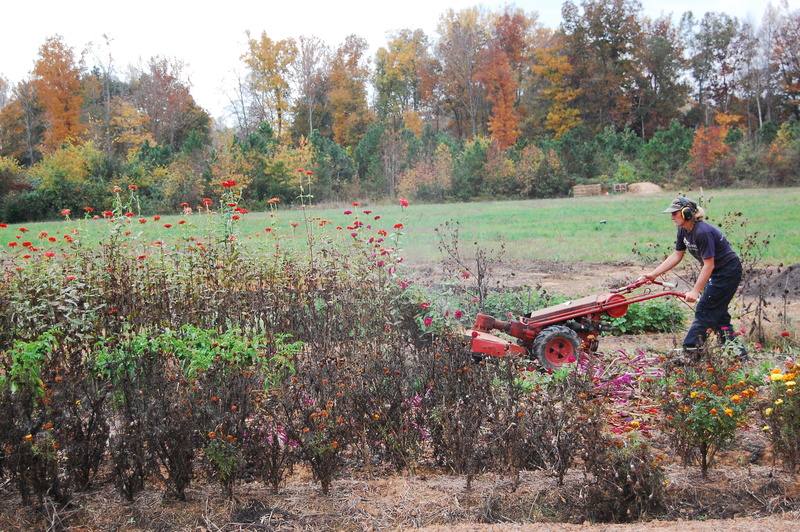 Megan prepared our beds by mowing down this year’s flowers with our Gravely walk-behind tractor. The mower is very powerful and it easily took down the husks of the summer annuals. We planted some beds into cover crops and planted hardy annuals such as poppies, snapdragons, feverfew, and larkspur into others. 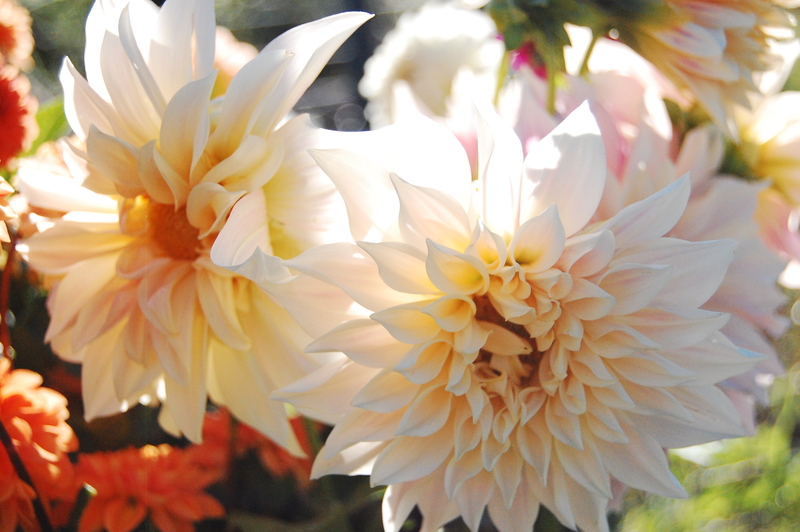 They will grow strong roots over the winter for a profusion of spring blooms. Hardy annuals in the ground for spring’s blooms. The farm may sleep through the winter but as we approach winter we are preparing for spring and for a lifetime on this land. Planting trees is an optimistic activity. We already dream of next spring’s blooms and future summer’s shade.